Banking giant Goldman Sachs (GS) posted its first-quarter 2019 earnings on Monday, April 15, before the opening bell. 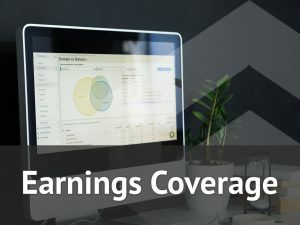 Net revenues slipped 13% to $8.81 billion in the quarter of 2019. Revenue from Investment Banking remained flat at $1.81 billion — with Financial Advisory revenue rising 51% to $887 million, but that from Underwriting sliding 24% to just $923 million. Net applicable income was 20% lower year-over-year at $2.19 billion, with earnings falling 18% to $5.71 per share. Book value per share, however, rose 12% to $209.07 in the same period. Net revenues in Institutional Client Services fell 18% to $3.61 billion in the period, while the top-line in Investing & Lending decreased by 14% to $1.84 billion. Operating expenses for the period was 11% lower at $5.86 billion, with an efficiency ratio of 66.6%. The Standardized common equity tier 1 ratio jumped 40 basis points during the quarter to 13.7% and the Basel III Advanced common equity tier 1 ratio improved by 30 basis points during the quarter to 13.4%. 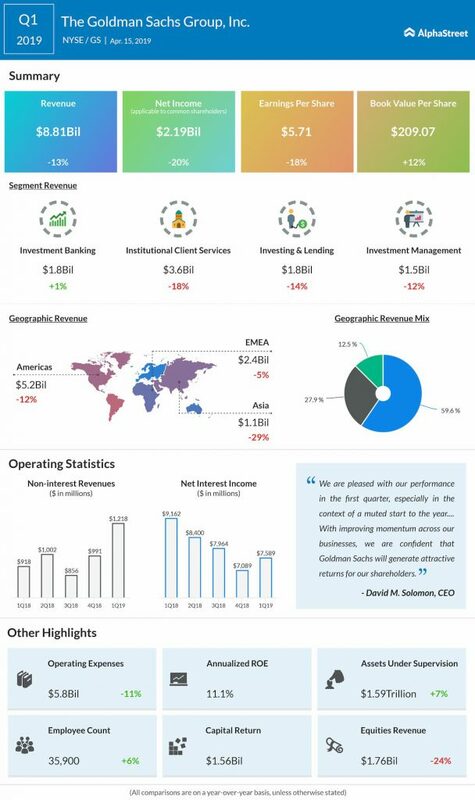 In the three-month period, Goldman Sachs returned $1.56 billion of capital to common shareholders, including $1.25 billion in share repurchases and $306 million in common stock dividends.